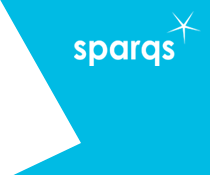 sparqs and NUS Scotland have created a training package about supporting international students to engage with their learning experience. The training consists of four modules and you can download all the relevant materials below. The downloads include everything necessary to deliver training sessions, including tutor notes, workbooks, evaluations, PowerPoint slides, and guidance on tailoring information. The training forms part of a toolkit developed by NUS Scotland which is available in DVD format. To obtain a copy of the DVD or to find out more about these resources, please contact NUS Scotland.